​She has been featured in various publications over the years including 'Fate & Fortune', 'Chat its Fate 'Soul & Spirit', 'Psychic News',The People, and in Canada in The Barrie Examiner and other newspapers and magazines. 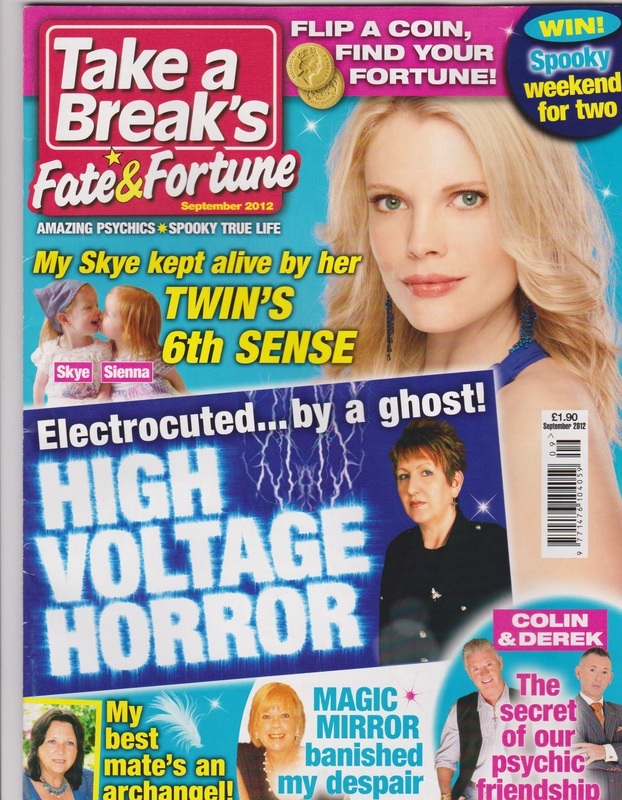 Most recently she is featured in October 2018 edition of Fate & Fortune Magazine where her TV Show 'Rescue Mediums' was voted 1 of the 6 best ghost tv shows ever. 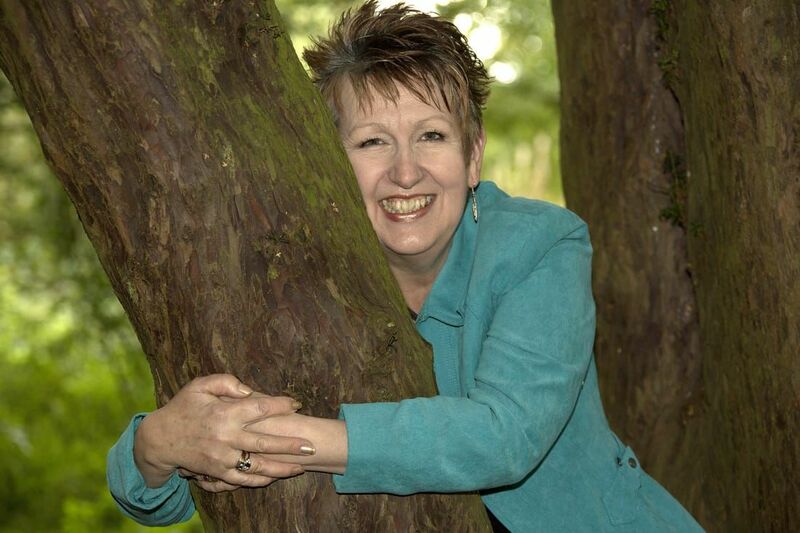 Jackie is co-owner of Feathers Academy of Clairvoyance & Holistic Therapies in her native Cheshire, England, where she offers one to one clairvoyant & spirit guide readings, past life regressions, auric healing, ascended master healing , psychic awareness and development classes. She also runs workshops in various parts of the world covering many topics to enhance and encourage personal, spiritual and psychic growth. I love working with spirit in whichever way they want me to work, and am grateful for their continued guidance and knowledge. I offer personal one to one clairvoyant readings in person or via skype. Maybe you are seeking inner peace following the loss of a loved one, and wanting to know that they are ok and still around, or perhaps you are looking for guidance with work, relationship or personal issues. During your reading you will receive clarification, comfort, upliftment, positivity and even life changing thought patterns to help you on your pathway. Should you wish to explore your past soul journey, either out of curiosity, or to better understand your life patterns and how to break past life cycles in order to achieve your full potential, then a past life regression is something that I would love to be able to explore with you. I love being able to work with the wisdom and guidance of the guides in spirit when teaching spiritual and psychic development. Its such a joy to be able to witness the spiritual growth of the students as their potential unfolds. Spirit guide portraits and working with spirit artists is a very satisfying way of working with spirit. Working with their energy I am able to draw their likeness and to receive information from the guide who will normally tell me a little bit about themselves and how they want to help and guide individuals on the earth plane. 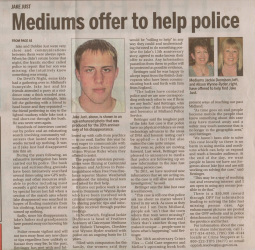 By the same token when working in a spirit rescue situation I am able to connect with the spirit energy to gain insight about them. Of course it goes without saying that spirit rescue work is something that I have a passion for as it has such a rewarding outcome in so many different ways. Peace and harmony not only for the homeowner, but also for the spirit who is causing the disturbance. I love my life and my work, and I love that I can share it with you. For those who are unable to travel in person, readings are also available by skype . Readings take between an hour and a hour and a half. If you are limited with your time, please make sure that you let us know. 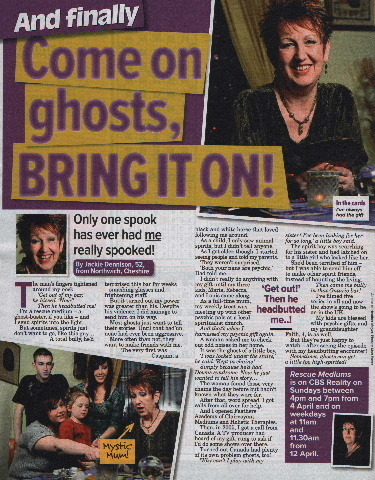 The show sees home owners invite the Rescue Mediums into their haunted houses. Communicating with the spirit(s) to find out who they are, why they are haunting, and if they can be helped. 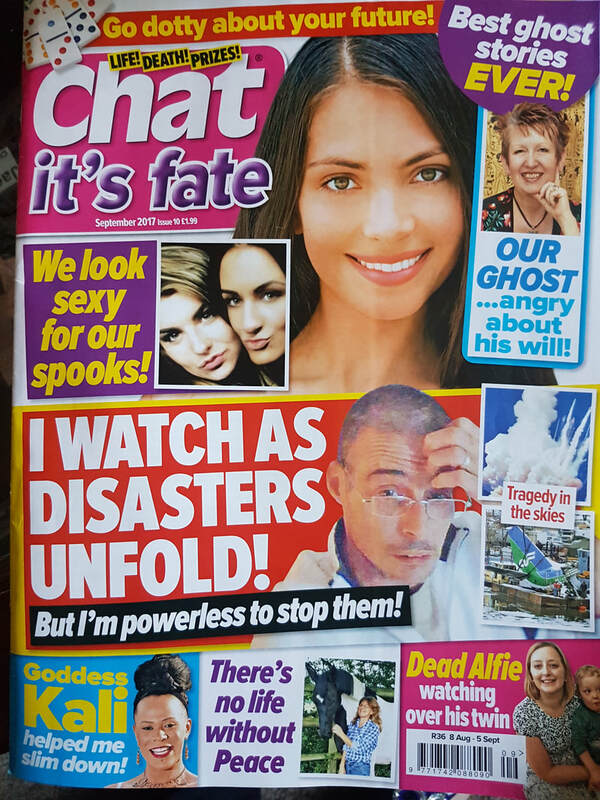 Frightening -It can be. Scary -It often is. Feeling, honest and compassionate - always. All of this together mixed with a good dose of fun and humour in the right places. 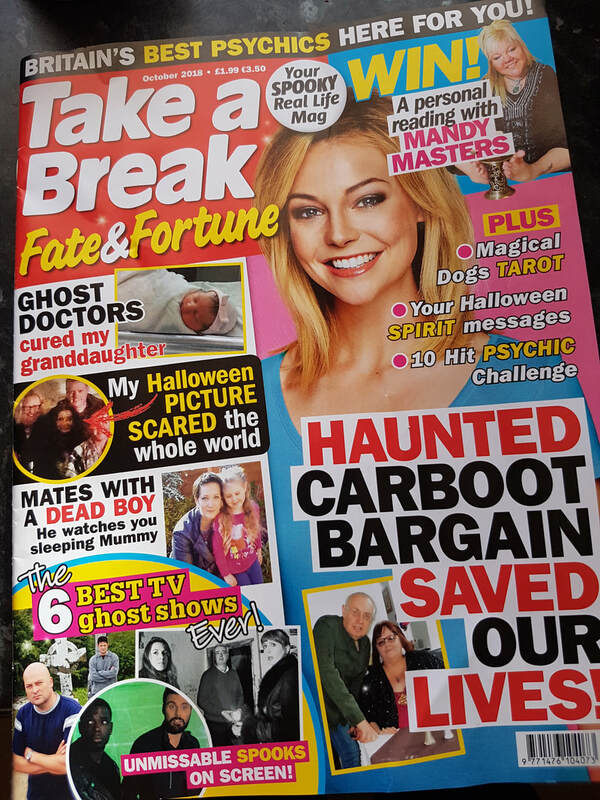 Jackies work has been featured in numerous publications including in October 2015 a book about spirit artists. The fist book of its kind to be published 'Spirits Paintings And Art From The Afterlife. The Greatest Spirit Artists And Medium Painters Of All Time' by Maximillien de Lafayette.